Reading is an excellent way to learn new things, especially when it comes to history, but teenagers aren’t often interested in reading thick volumes on historical events in their free time. (Who could blame them?) Young adult historical fiction books are both entertaining and educational, enveloping true historical events in a gripping story. Want to read more historical fiction, but not sure where to start? Our list of historical fiction novels breaks away from the most popular titles, covering more obscure events that teens might not learn about in history class. The year is 1643, and young English settler Will Poole is trying to make a life for himself in the New England colonies. He goes against all convention when he befriends an older Native American man named Squamiset, a former prisoner of the English. The colony’s leader, Rockingham, is not happy about this to say the least, and vows to imprison Will and another young Native American friend. Squamiset comes to boys’ rescue in the nick of time, whisking them away on a harrowing canoe journey to Nantucket. Their escape does not seem to deter Rockingham, though, who resurfaces in Nantucket, as if by magic. This novel has everything a teen could hope for in a historical fiction book, including elements of magic, a journey across the sea and enough conflict and suspense to keep the pages turning. Moreover, the novel provides excellent, although indirect, commentary on current events. Will Poole’s Island will make teens question the brutal treatment of Native Americans that continues even today. Fever 1793 is a fictionalized account of the yellow fever epidemic, which wreaked havoc across Philadelphia in the late 18th century. Fourteen-year-old Mattie Cook watches her childhood friend, Polly, succumb to the fever. There is no time to mourn, because Mattie must help her mother and grandfather run their coffee shop, located on the outskirts of the river. When the fever infects her mother, Mattie and her grandfather are forced to leave the city. But Mattie discovers the disease is not unique to Philadelphia, and that she must adapt quickly to survive. Fever 1793 provides an accurate and well-researched account of the true events which inspired it. The book goes further than simply telling a story, as it provides invaluable perspective. Fever 1793 will make teens ponder what they would do if they were in Mattie’s shoes, and wonder what might happen if such an epidemic struck in the modern day. The Civil War has just ended, and thirteen-year-old Eulinda should be elated, yet she is anything but. For a slave, she has a relatively better life compared to most. She stays in the big house, receives an education and even has a dog, perhaps because her master is also her father. Yet she is plagued by the fact that her younger brother was sold, and her older brother is fighting for the Union. She later learns her older brother is being held in the Andersonville Prison Camp, where he is tortured and starved. Once the war is over, Eulinda makes her way to the camp, determined to save her brother, but what – and who – she encounters there will scar her in ways she never could’ve imagined. This short book is an excellent read for teens interested in the Civil War, telling the very real story of the Andersonville Prison Camp. Rinaldi is a celebrated young adult fiction author, and has written over 40 books covering everything from the Salem Witch Trials and the American Revolution to the Civil War. For teens interested in reading more historical fiction, Rinaldi’s works are a great place to start. The year is 1936, and it’s been four years since Bud’s mother died. Bud is ten years old and is living with his third foster family, the Amoses, in Flint, Michigan. When the Amos’ son bullies him relentlessly, Bud decides he’s had enough and decides to run away. He’s on a quest to find the man he thinks is his father, Herman E. Calloway, who is part of a jazz band called Dusky Devastators of the Depression. Bud embarks on a journey to Grand Rapids that is fraught with obstacles and uncertainty. When he finally reaches Grand Rapids, thanks to the kindness of Lefty Lewis, he discovers the meaning of true love and the power of music. This novel is an uplifting and heartwarming read for those interested in the Great Depression. Bud, Not Buddy shines a light on an era that is known for its darkness and squalor. Teens can also learn more about Flint, Michigan, which is now known for its water crisis. Twelve-year-old Jamie couldn’t be happier that her brother T.J. is heading off to the Vietnam War. To Jamie, war is a glamorous, heroic endeavor, and she wishes that she could fight. When their father – who has served as a Colonel in the Army for their entire lives – learns T.J. is going to Vietnam, he tries everything in his power to get T.J. to change his mind, to no avail. T.J. sends his family letters and rolls of film, and Jamie develops the film and is horrified at what she sees. She soon learns that war is not at all what she thought it was, and wishes her brother would come back home. In a world where war and fighting for one’s country are glorified, this book is a difficult but necessary read. Not only does it employ tactical knowledge from a military standpoint, but it also provides invaluable insight into the realities of war. The age of the main character makes this novel even more interesting, and the loss of Jamie’s innocence will undoubtedly resonate with teens. Learning about key historical events in American history in a way that is fun and interesting is important for teens. Reading historical fiction is a great way to do that. Although fictional, these novels are well-researched, expertly weaving historical fact with engaging fiction. 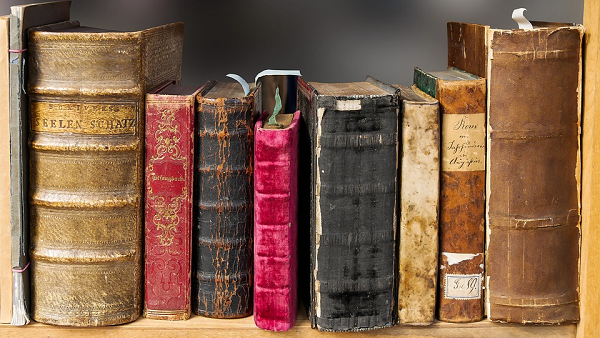 Many of the novels listed here tell the story from the points of view of teenagers or younger children, which can make teens feel as though they have a closer connection to history. An added bonus is that the novels listed here discuss historical events that may not be part of the curriculum, such as the Andersonville Prison Camp and the yellow fever epidemic of 1793. What are your favorite young adult historical fiction books? Please take a few minutes to let us know in the comments. About a teen boy searching for his parents traveling on the Oregon Trail. Francis is 14 and grows to the age of 18.